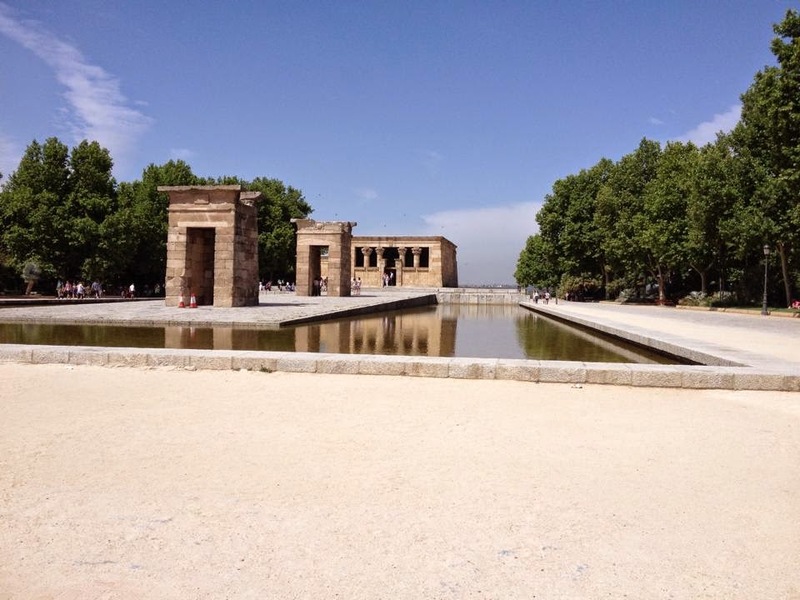 Adventures of Elis: MADRID, Spain. An elegant and really fun city in the centre of Spain, Madrid is a great place to visit! I really enjoyed my time in Madrid and would certainly recommend the city; its wide variety of attractions makes it a good all round city destination. Perhaps the most interesting part of Madrid is its bustling historical centre. This refers to the area around the impressive main square ‘Plaza Mayor’. Whilst little remains of the original medieval architecture, the narrow streets retain an old fashioned character. Streets are lined with cheerful pastel-coloured buildings, and dotted with elegant squares ‘plazas’ filled with cafés and tapas bars. This part of Madrid has a very laid-back atmosphere; it is hard not to smile whilst walking through the streets! It is a good place to come to enjoy a coffee or sangria in the sun. The lively atmosphere continues into the night; the area, particularly around Calle de las Huertas and Plaza Santa Ana, is excellent for clubbing. There are lots of small, but lively bars and also a number of large nightclubs, such as the Kapital nightclub on Calle de Atocha, which has seven floors and is open until the early hours. The gay district is centred in the streets around Plaza de Chueca; this more bohemian district offers a more alternative nightlife. Built in the early 1900s, the busy Gran Vía cuts through the older streets from close to Plaza de la Cibeles through Plaza Callao and finishing at Plaza de España, and passes many of Madrid’s iconic landmarks. Gran Vía comprises very different architecture to that of the historic centre, with large grey-stone buildings, such as the tall Telefónica building and lots of traffic. Walking through this busy street, you get the feeling of being in a large city; the metropolitan atmosphere is far from the laid back feel of the historic centre. The street is a good place for shopping; many department stores and shopping centres are located in this area. The area is also culturally important, with Madrid’s film and theatre scene being centred on Plaza Callao. 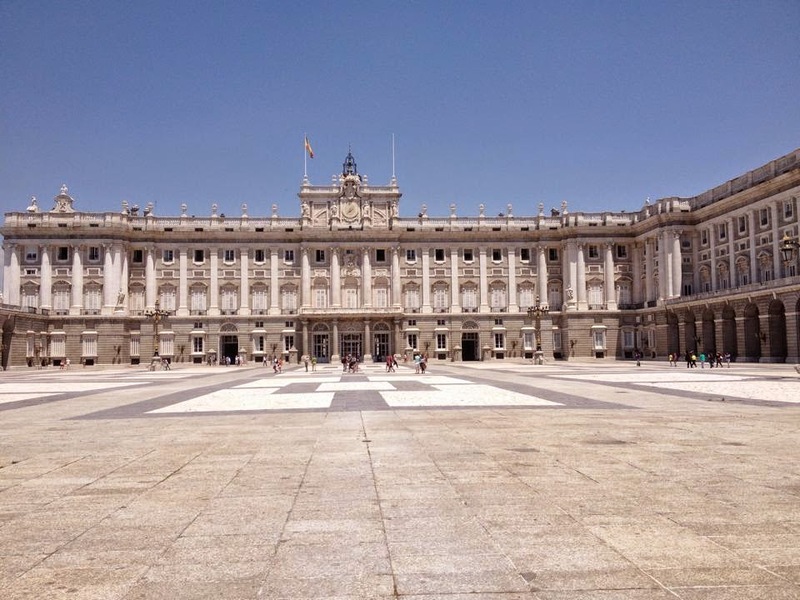 Sights worth seeing in this part of Madrid include the spectacular Cibeles Palace in Plaza de la Cibeles, and the view of Gran Vía from the Metrópolis building at the busy junction with Calle de Alcalá. 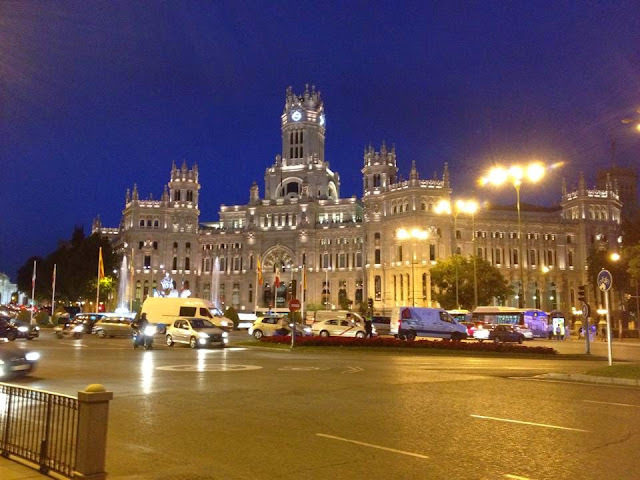 Plaza de la Cibeles at night. 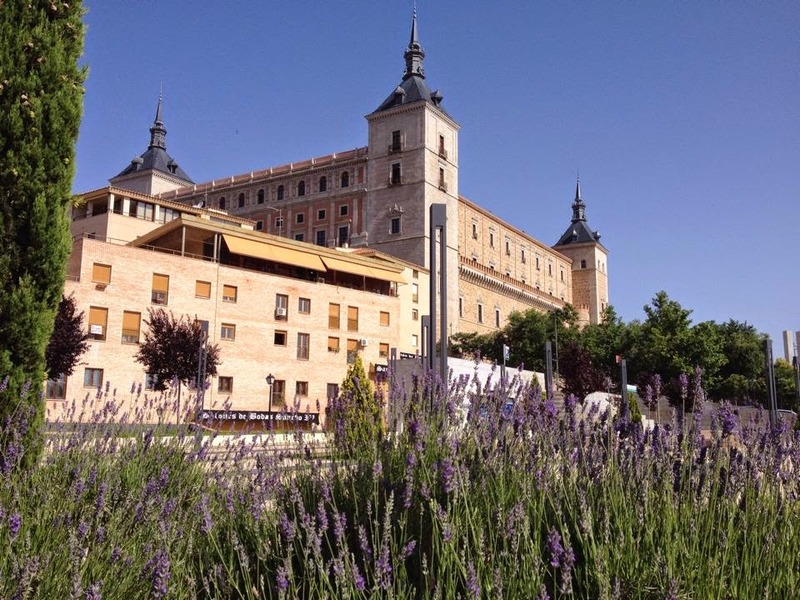 Some of the city’s grandest buildings can be found above the banks of the Rio Manzanares in the western part of the city: the Almudena Cathedral and the Spanish royal palace ‘palacio réal’, both of which are worth visiting. Other sights to see in Madrid include the Temple of Debod (an ancient temple given to the Spanish by the Egyptians), the Plaza de Toros arena in Las Ventas, the Caixiforum vertical garden, and the Puerta de Alcalá arch. Those interested in modern cities may like to visit the area around Plaza de Castilla in the north of Madrid, where the city’s tallest buildings are located. The 27 storey leaning towers of the Puerta de Europa dominate Plaza Castilla, whilst to the north of this Madrid’s tallest skyscrapers, the Cuatros Torros, tower up to 250 meters over the busy Paseo de la Castellana. A nice quality of Madrid is its abundance of parks and open spaces. A notable park is the Parque del Retiro, a large green space in the centre of Madrid. The park is home to a large lake with the backdrop of the Alonso XII monument, where you are able to hire rowing boats. Numerous cafés and ice cream stalls can be found around the park, which I came to appreciate in the afternoon heat! Two other pretty, but rather less busy parks are the Campo del Moro gardens behind the Palacio Réal, and the Parque de la Montaña around the Temple of Debod. Madrid is a city of rich culture and cuisine. Cafés, restaurants and bars ‘cervecerías’ are abundant across the city; wherever you are in Madrid you will be spoilt for choice! The people of Madrid, ‘madrileños’, enjoy sitting outside in the squares enjoying beer and tapas. International cuisine can be found widely, however the vast majority of restaurants serve authentic Spanish food. A popular breakfast in Madrid is ‘chocolate con churros’ – thick hot chocolate with sticks of deep fried batter, which can be found in most cafés. Cultural attractions include the Museo del Prado, and the Reina Sofia art galleries, along with many other museums. Football is very important to the people of Madrid; evidence of this can be seen in bars, shops and on billboards across the city. Any souvenir shop you visit in Madrid is sure to be filled with football merchandise! Madrid’s two highest ranking football clubs are the world famous Réal Madrid and Atlético Madrid. To those who fancy travelling outside of Madrid, I would strongly recommend a daytrip to the medieval city of Toledo, designated a world heritage site by UNESCO in 1986. Toledo is a very attractive hilltop city, giving visitors the feeling of stepping back in time. Despite being the historic Spanish capital, Toledo is much smaller and quieter than Madrid, which I found to be a refreshing break from the busy city atmosphere. Attractions include the Alcázar fortress, the cathedral, the old city hall and the historic narrow streets. A walk along the banks of the Rio Tajo from the San Martín bridge is a pleasant way see the surrounding countryside. Toledo is easily reached by train from Madrid, with a direct high speed train from Madrid’s Atocha station taking just 30 minutes. 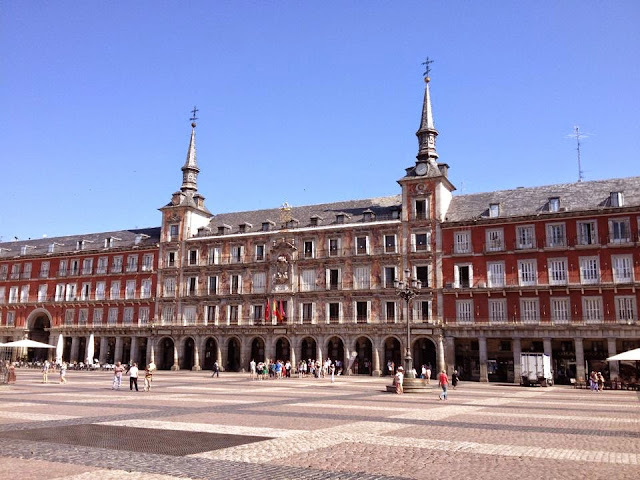 Despite it's location in western Europe, I found Madrid to be quite a budget-friendly city. Beds in hostel dorms generally cost between EUR 10-15 and a main course in a mid range restaurant should cost around EUR 10-15, but tapas bars are everywhere and offer a cheap and fun alternative. Avoid restaurants in main squares and tourist zones as these tend to be hugely overpriced and unauthentic. Public transport is fast and reliable in Madrid - the easiest way to get around the city is to use the Metro. Single tickets cost between 1.50 and 2 EUR depending on the length of the journey although travel cards work out cheaper for longer stays. Sunshine is pretty much guaranteed in the summer months but the heat can become oppressive. 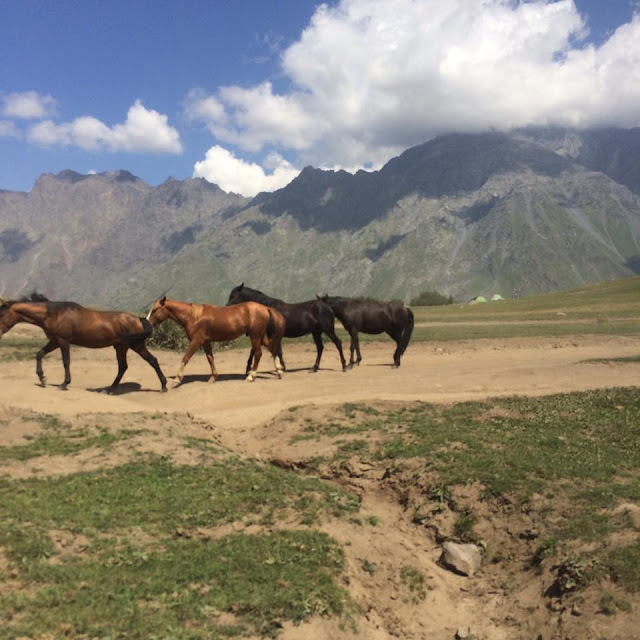 Perhaps the best times to visit are in the Spring and early Autumn, when the temperatures are more comfortable. 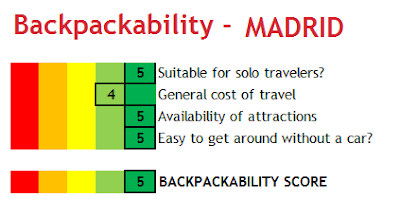 I've given Madrid the maximum 'backpackability' score of 5, meaning it is very well suited to backpackers and budget travellers. Madrid is a beautiful, fascinating and very fun city, which will certainly win your heart. Have you been to Madrid, or thinking of going? Let me know in the comments below!